If you’re having difficulty maintaining your weight loss regime due to hunger, or if you’ve got more weight to lose, then this pack is for you. It’s designed to give you extra protein and last a 30 days. 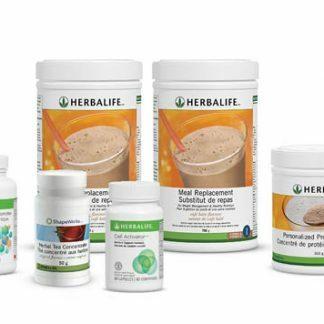 Replace two meals a day with our high nutrition, meal-replacement shakes and add in some protein powder. A great way to jumpstart your way to good health! Formulated with an exclusive blend of selected proteins, vitamins, minerals and herbs. Low in calories, low in fat and a valuable source of fibre. Provides 18 amino acids to help the body function at its optimum level. Now contains Aminogen, a naturally derived ingredient that helps the body break down protein into free-form amino acids. Also contains additional vitamins and minerals. 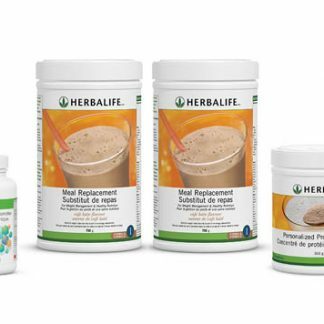 Enhanced fibre blend for a smoother, easier mixing shake. 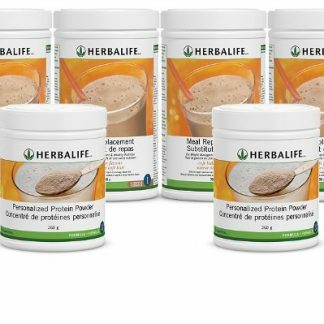 This is a 100% protein powder that is a mixture of soy and whey protein formulated to have the correct mix to ensure you don’t get hungry. It contains no carbohydrates, yeast, cholesterol, salt, lactose, sweeteners or artificial colours. 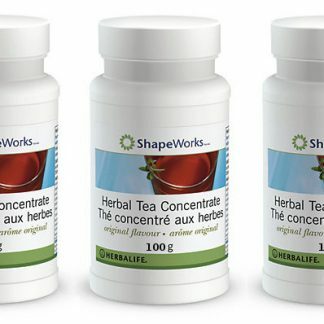 Able to be taken hot or cold, this powerful antioxidant beverage also contributes to the weight loss program by it’s thermogenic or fat-burning action. Supports the body’s absorption of micronutrients and promotes cellular energy production. Replace 2 meals a day with our easy to prepare, high nutrition, meal-replacement shakes and take the Multivitamin Complex 3 times a day. Sale! Please login or register to see price. 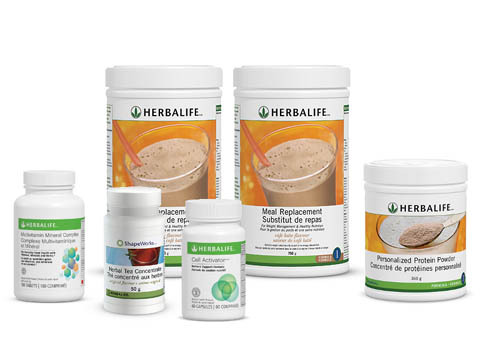 You're viewing: Herbalife QuickStart Plus Weight Loss Pack Please login or register to see price.